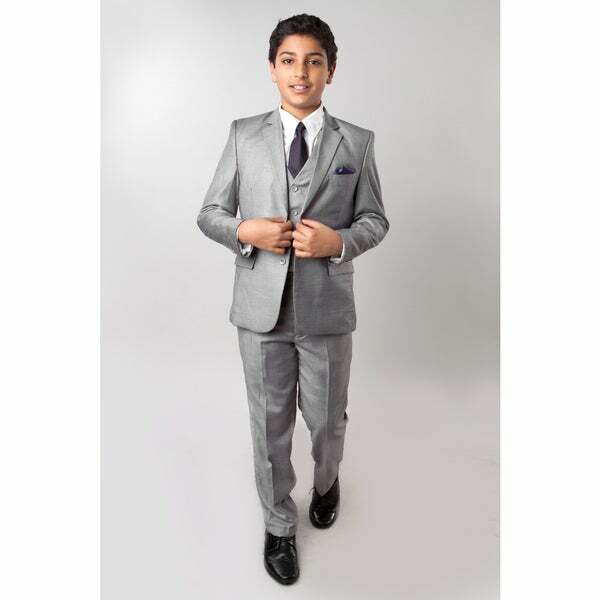 Get your child ready for a formal event easily with this five-piece suit. This grey suit features a classic style and comes in a suit bag with a shirt and tie for an effortless and pulled-together look. Ordered a 14/16 but it came and was a size 16 also the purple tie was discoloring the white shirt. The pocket square was missing and the pants and dress shirt were super wrinkled. "what is the fabric ?" "Is that pocket square sewed in? I need to buy a different colored tie and pocket square..."
My Ring Bearer will be wearing it for my wedding.